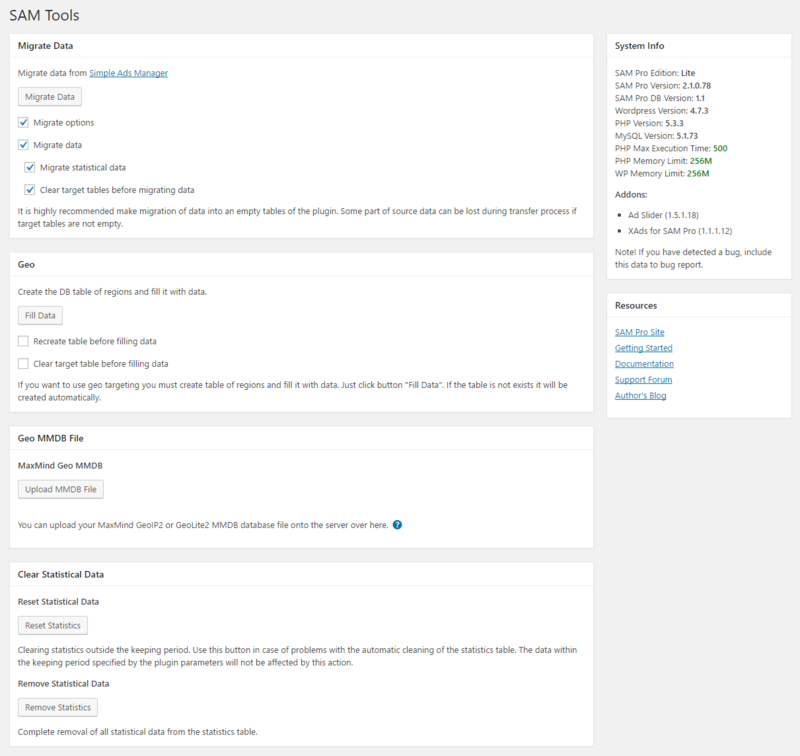 If you use the plugin Simple Ads Manager, you can migrate all the data from this plugin into the SAM Pro Lite plugin. The data structure of plugin Simple Ads Manager is different from the data structure of plugin SAM Pro Lite, thus you need to use this tool for safe migration of data. Also you can upload this file via FTP. 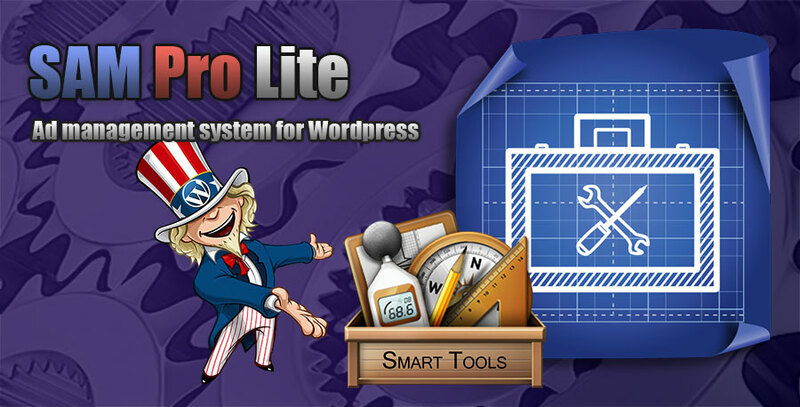 Upload it into plugin folder data: /wp-content/plugins/sam-pro-lite/data . Hello, I just purchased the Sam Pro Lite. Most everything is set up. However, I am having a difficult time with the geotargeting. I installed the GeoIP plugin and then I believe I installed the maxmind GeoIP lite DB. But, at this point, I am lost on the settings – tools tab under the geolocation resources heading. The fourth option is for maxmind GeoIP Lite DB, but it is asking for Blocks Table and a Region Table. Where do I find these? Or, am I doing this totally wrong? Thanks for any direction you can give me. If you encounter any difficulties or have any questions, do not hesitate to contact me.